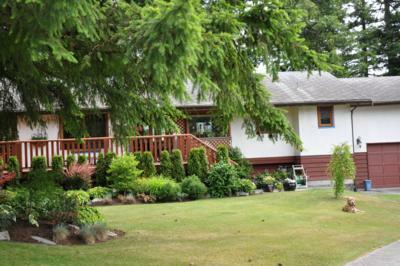 The first thing you will notice as you drive into this property is the beautifully landscaped yard. As you walk up to the front entrance you will be captivated by the picturesque scenery that you immediately view through the large windows and French doors on the back side of the house. 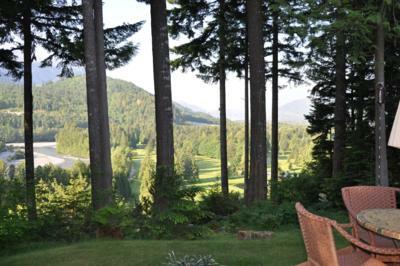 Perched on a hill, what you'll see below is the beautiful Mamquam River and the Squamish Golf Course not to mention the many towering mountains that surround this lovely coastal community. It's as if you're looking out over your own private park. There is not a house or a roof-top to be seen. Poster card views are seen from every window in the entire house. If you can pull yourself away from the view you will find a large, fully equipped open kitchen and living room with a floor to ceiling three sided gas fireplace which separates the living area and the dining area with a view. 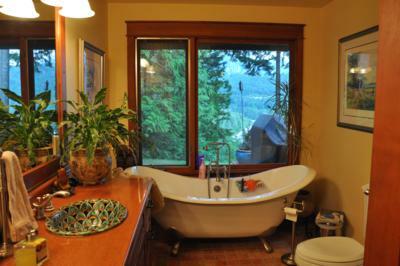 In the hallway towards the master bedroom is a large bathroom with double sinks, a large shower, and a double slipper claw foot tub with a breathtaking view. Further down the hallway you will enter into a master bedroom which also has breathtaking views of the mountains, river, golf course, and ocean. 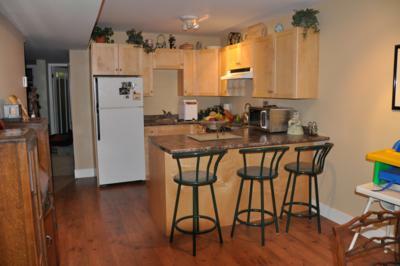 As you make your way to the downstairs, a separate entry area takes you into a large 2 bedroom suite. 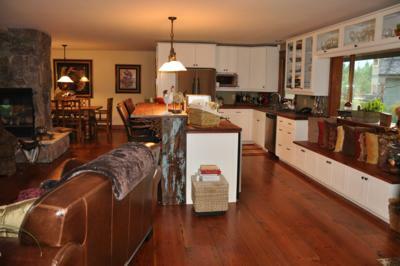 You enter into the fully equipped kitchen where you will find a gas fireplace and an eating area. 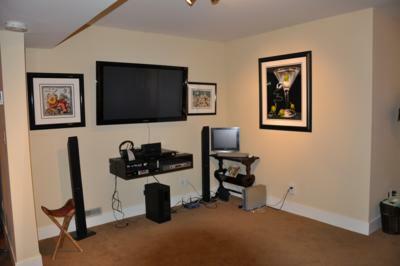 You will then enter into the living room where there is a 56 inch flat screen television with surround sound. 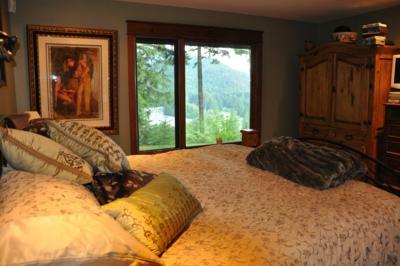 To the right you will find a bathroom with shower and then you will enter the master bedroom. The other bedroom has 2 bunk beds. For those who enjoy exercise, there is a fully equipped workout room which includes a universal gym, free weights, and a professional treadmill. Enjoy! 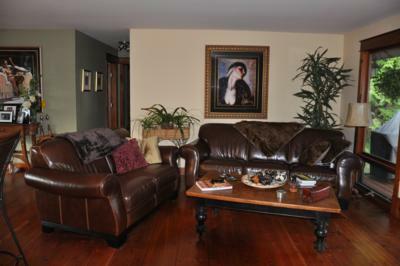 Family room has double pull out sofa.